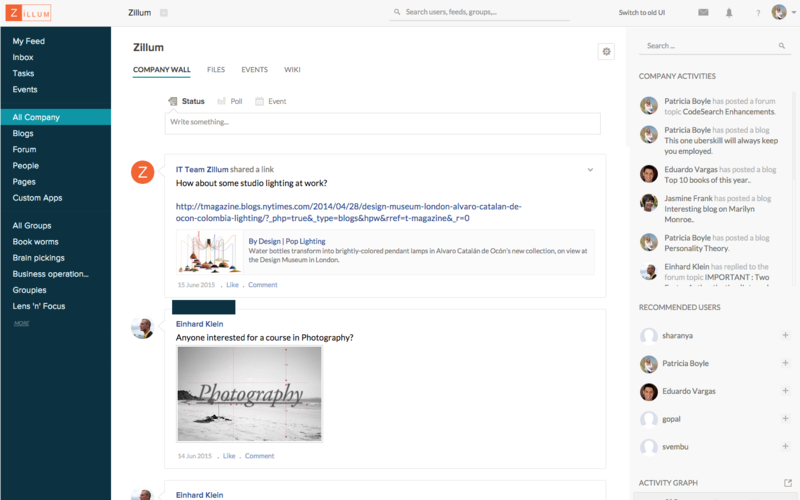 Zoho Connect is an enterprise social collaboration platform. If you’re trying to get your company on the same page Zoho Connect is worth a look. Slack really cracked open the workplace collaboration market, and a number of companies have followed their lead. Among the biggest and the best is Zoho. Back in the day Zoho was less than perfect, but affordable. Now Zoho is cranking out smart, usable, connected tools for business. Zoho Connect is their latest offering. How does it hold up? The main UX of Zoho Connect feels like a hybrid of Slack and Facebook. You have feeds, but you also have channels. People can create articles, texts, forums…pretty much any communication platform you can think of. That familiarity makes it easy for everyone in your company to pick up. It’s like social tools they’ve used before, just tailored to business. Zoho Connect allows you to manage tasks. From our point of view these work best at a higher, or department level, where things can then be broken down at the team level. That said, for companies that need simple task management, or a way to monitor larger milestones, Zoho Connect can serve the purpose. You can invite people from your company, create groups, and include people on projects. Zoho Connect is meant to be used within a company, so it’s probably best for companies that are a bit larger and manage their growth better. For companies that do service work, or employ freelancers, it may not be a perfect solution. Setting up your team is a bit harder than it might be for other applications, but that’s expected with social apps. It’s important to break down your teams and plan an implementation structure so everyone can get on board. Limited to your company. Hard to integrate others.